Books, wine, cooking, quiet relaxationthis home has its priorities in the right order. 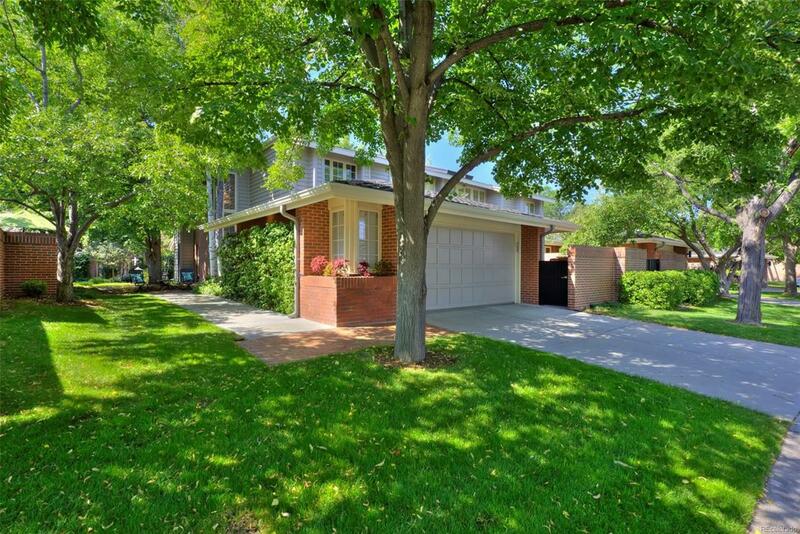 Blocks from the glamour of Cherry Creek yet tucked safely into peaceful Polo Club North, away from any noise or traffic, youll discover a sense of quiet drama and impressive scale. Theres the show-stopping library that surrounds the dining room and will be the talk of any dinner party. The gorgeously renovated kitchen. A grand, gallery-like great room. The two-story stairwell with its glittering chandelier. The wood-ensconced wine cellar. It all conspires to make this the most memorable home youll tour. A surprising spaciousness and number of rooms are hidden inside, and you will hardly suspect it shares a wall with the unit next door, thanks to a fully private entrance, excellent insulation and gorgeous landscaping. In fact, the current owners favorite thing about this home is relaxing on the back patio at sunset, under a rustling canopy of trees accompanied by a chorus of birdsong.